Tiffany Barnes is a native of Silver Spring, Maryland. Throughout childhood she trained and worked as a teacher’s assistant at the Jones Haywood School of Ballet in Washington, DC under the direction of the late Doris W. Jones. In the spring of 1993, Barnes took a Graham-based modern class taught by Denise Jefferson at the Black College Dance Exchange, where Jefferson suggested she audition to study at The Ailey School. After earning her B.A. in English with a minor in Marketing from Hampton University, Barnes moved to New York City in 1995 where she began training at the School and later as an instructor. She taught classes in every level of the Junior Division Program and was a teaching artist for Ailey’s Arts In Education & Community Programs. As a performer, Barnes worked with Nathan Trice/Rituals, Footprints Dance Company, and The Radio City Rockettes. In 2005, Ms. Barnes was selected to be a New York City Teaching Fellow and worked as a New York State certified middle school English Language Arts Teacher. She holds a M.A. from The Gallatin School of Individualized Study at NYU and a M.S. in Adolescent Education from Pace University. 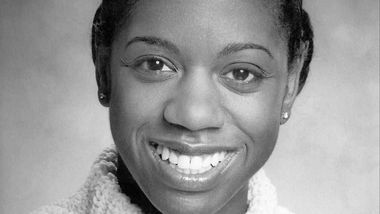 Barnes was appointed Junior Division Director at The Ailey School in October 2010. Young students often jump from creative movement - the perfect introduction to any modern technique - straight into ballet, bypassing modern until high school or even college. Yet teaching modern to children shapes future well-rounded, adventure-seeking dancers - students who are not afraid to really run, slide on the floor or create movement. It takes many years of study to acquire a professional level of dance technique, so aspiring dancers must begin training at a very young age. Even those who start performing professionally as youngsters must continue training through their adolescent years.